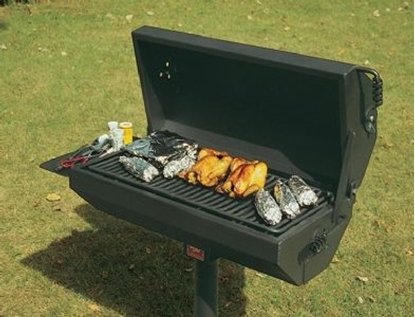 Quick Ship Park Barbecue Grills from Park Tables includes commercial charcoal and wood BBQ grills. These are found in parks and campgrounds across the nation! Group grills have large cooking surfaces for grilling hamburgers and hotdogs for large gatherings in public parks and residential communities. Quick Ship BBQ Grills from Park Tables are in stock are ready to ship out within 2 business days! Quick Ship eligibility for BBQ Grills including lead time and quantities available are subject to change. Quick Ship available up to 4 units. Call our friendly staff to get a quote on Outdoor Quick Ship Furniture from Park Tables.